2 Bedroom House For Sale in Bletchley for £268,000. 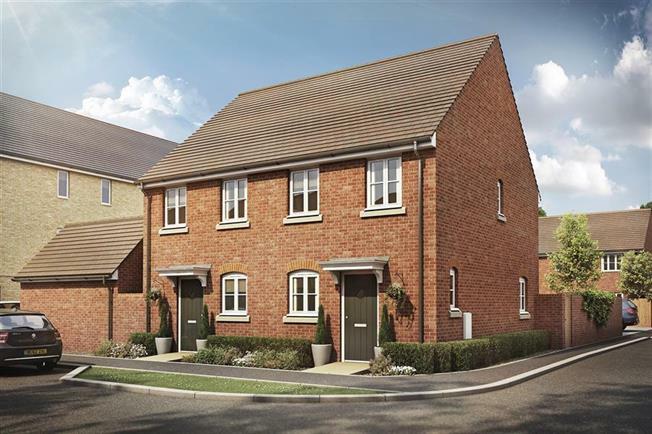 Plot 1252 'Canford' 2-Bedroom House with En-Suite to Master. Upgraded kitchen with Fully Integrated AEG Appliances, Upgraded Bathroom, and turfed rear garden. Perfect For Commuters - Easy access to London and all the amenities of Milton Keynes. Oakbrook is located on the outskirts of Milton Keynes. Perfect for those of you that work in London and want to escape the city, or for those that simply love living in Milton Keynes because of its many amenities and easy connection to the rest of the country. A well built new build property by a reputable developer- Giving you peace of mind you live in a sturdy place. 2 double bedrooms, with en-suite to master & family bathroom, with enough space for you to store plenty of items. The perfect opportunity to get on the property ladder- For those of us who are tired of paying rent. Support from a large business who will happily guide you through the process- Meaning we can make buying a house much simpler for you, allowing you some time to focus on what matter, how you will decorate it!